Why Join the Unlimited Club? Being part of an unlimited car wash club means that you can wash your car as many times as you wish. Seriously. Sit back and enjoy—as often as you like—the quality, convenience, and value all wrapped up in the delightful experience that is Let’Er Buck. Car wash experiences aren’t just for warm weather months anymore. Rain, shine, sleet, or snow, you can conquer Mother Nature and the Wyoming elements by taking advantage of weather prep that protects your vehicle year-round from bugs, dust, ice, and grime. But if you’re looking for a great experience with no long-term commitment, have no fear. There’s no year-long requirement here. 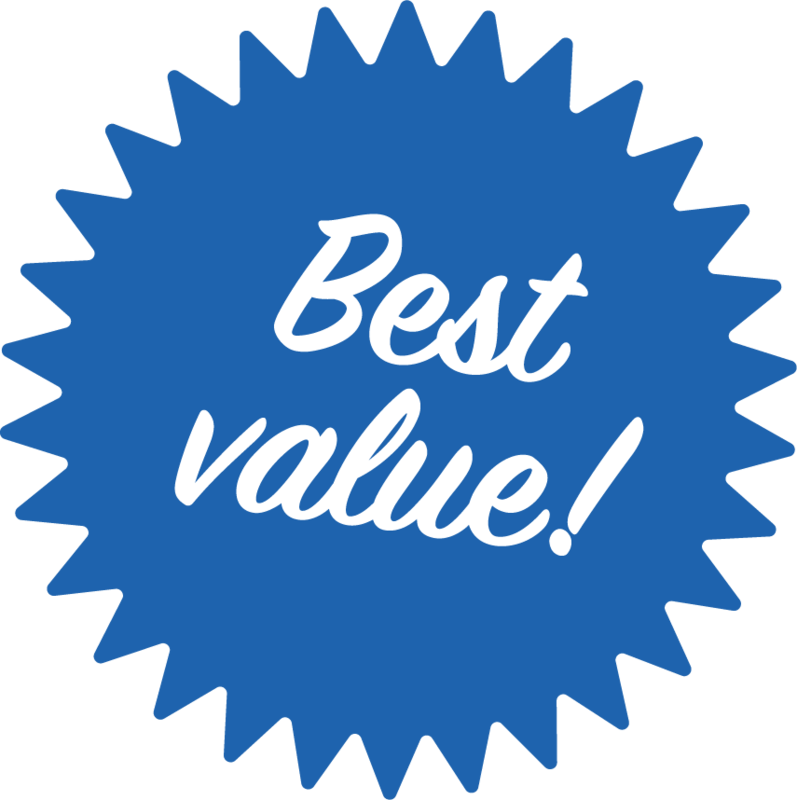 Come see for yourself the value and quality we have to offer, and decide how long you want to stick around. Month to month? No problem. However, be sure to check out our savings opportunities with yearly options! We offer automatic billing options for carefree renewal—so your experience as an unlimited wash member will never end! 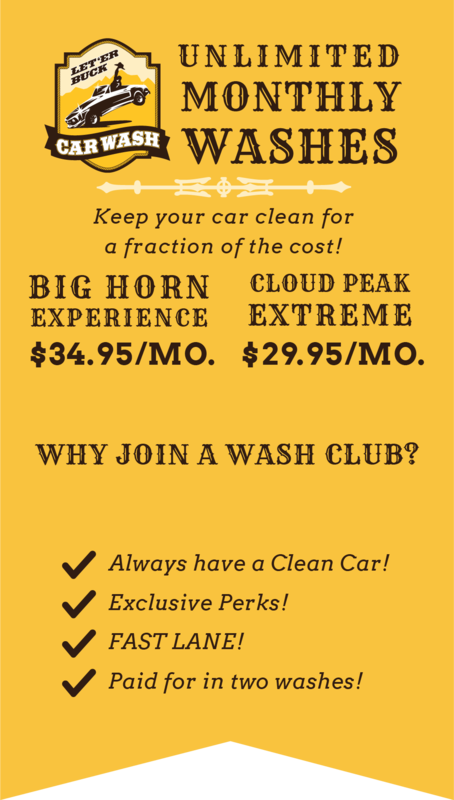 Pay once a month, and sit back while your car enjoys unlimited washing! Enjoy upgraded seasonal wash opportunities and other services at lower, member-only rates. 6. LIVE IN THE FAST LANE! As an unlimited member, take advantage of using the “Fast Lane” when you come in to wash your car. Line skipping is totally acceptable here – get in, get out, and get back on the road. Experience life in the fast lane! Don’t worry about who (or what) might be getting into your car at any moment. With the unlimited wash experience, you’ll always have a clean and tidy vehicle that can welcome anyone—and have room for anything!—at all times. No more last-minute hustling or brushing crumbs off the seats to ready your car for passengers. Enjoy a clean car, always!